Dave Grohl has a reputation as a family man and the nicest guy in rock. To some extent, that’s true. But the image and the truth have been a long time in the making. Paul Brannigan, a contributor to Kerrang! and Rolling Stone, builds on his own interviews that stretch back to Grohl’s time in Scream, to build a grittier portrait of the Foo Fighters’ central figure. 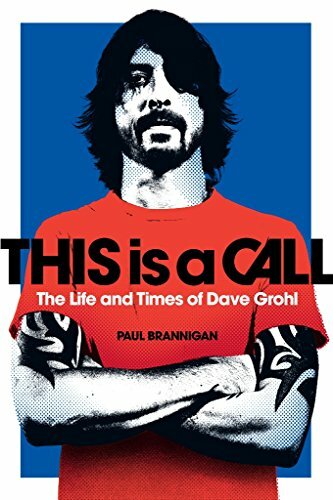 Brannigan’s book doesn’t contradict Grohl’s burnished image. Rather, it provides a more complete picture of the man, at least through 2010 (when it was written). While his unfortunate falling out with original drummer William Goldsmith is well-known, the book gives a less sanitized take on the departure of Pat Smear (who has since returned) and Franz Stahl. Smear was disillusioned with the constant touring after having dealt with the implosion of Nirvana. Stahl and Grohl have put up a somewhat united front as Scream has shared gigs with the Foos, and Stahl’s brother Pete remains close to Grohl. But letting Stahl go after losing Smear and Goldsmith and nearly losing bassist Nate Mendel hurt Grohl personally. ﻿ This following of Grohl’s life from being a toddler in Warren, Ohio to growing up in DC and becoming part of its punk underground. It also debunks some of the myths about Kurt Cobain as some sort of brooding genius. While Cobain proved to be as fragile as many have portrayed him, Nirvana’s rise to fame and image was carefully crafted by the front man. And while the book mentions Grohl’s feud with Courtney Love, Grohl shows why he generally comes up looking good whenever Love lashes out. He acknowledges that minding Nirvana’s legacy is not an easy thing and stresses out everyone concerned. But the Foo Fighters are clearly the band of the 2010s for a reason. They work hard and, once they abandoned making “million-dollar albums” in favor of working out of Grohl’s garage, the band took the tact that each album might be their last. And while Grohl is the main songwriter and central figure, it’s most definitely a band.